When Joel Brown’s father passed away, his grieving family went through an ordeal to find the paperwork necessary to close accounts, notify clients and perform other business tasks. When his father-in-law passed, the family missed an opportunity to claim life insurance because the policy had not been renewed. Had he known the policy was about to lapse, he said, he would’ve paid the renewal. 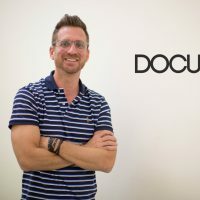 Those end-of-life experiences created a new beginning for Brown, who founded a software called DocuVital, a one-stop shop for important documents needed in the event of a death. Now, the new company is finding success, recently signing on MGM Resorts International as a major client. But, despite Brown’s extensive education and experience of owning his law firm for 16 years, he said launching the business was daunting. It was in the concept phase for two years. He found help in an unlikely place. His business was one of 15 financial technology startups selected to participate in the Miami Fintech Forum. The event consisted of a day of entrepreneurship training and ended with a pitch contest that Brown won. There, Brown met some of the expert consultants from the Florida SBDC at FIU. He had not known of all of the resources the Florida SBDC at FIU offered, he said, and was impressed by the consulting team’s expertise. He began working with the Florida SBDC at FIU experts on improving his company website. Now, he is consulting with them on marketing and promotions. 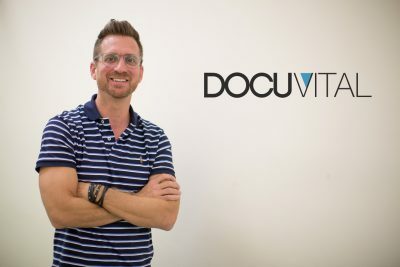 Brown said the Florida SBDC at FIU consultants helped with a strategy to target companies that can provide DocuVital as part of an employee benefits package. The strategy is paying off. DocuVital recently partnered with the iconic MGM Resorts International, one of the largest hotel and resort companies in the world, which will provide DocuVital’s solution to MGM employees. "The people at the Florida SBDC at FIU have been tremendously helpful, and I plan on working with them as long as I can imagine. I don’t see me stopping anytime soon."